Alberta A. Kreiger - Howard B. Tate & SonFuneral Home, Inc.
Haynersville- Alberta A. (Dearstyne) Kreiger, 95, a longtime resident of Brunswick, died peacefully, Saturday, October 15, 2016, at her Haynersville home with her family by her side following a long illness. 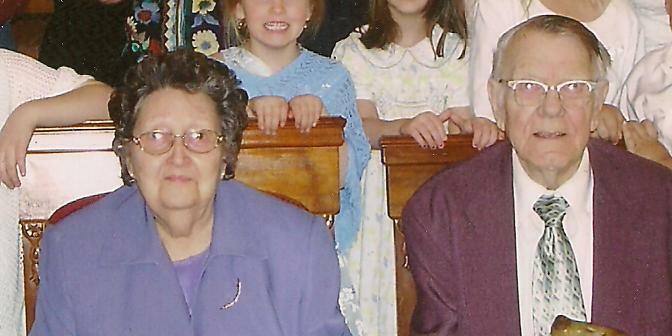 Born March 3, 1921, in Watervliet, Alberta was the daughter of the late Edgar and Agnes (Church) Dearstyne and, for over 68 years, the beloved wife of the late Don G. Kreiger, who predeceased her in June 2011. Alberta and Don were married at the Pittstown United Methodist Church on April 25, 1943. Mrs. Kreiger was a graduate of Lansingburgh High School. For many years she was a homemaker and assisted her late husband on the family’s Brunswick farm and raised her family. Additionally, she was employed as a school bus driver by the Brittonkill Central School District and drove one of the most treacherous routes on Ford Road for several years before retiring. Much of Alberta’s life revolved around her faith and the church. 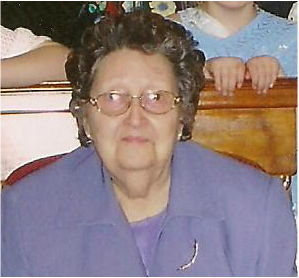 She was a member of Gilead Lutheran Church, directed and sang in the church choir, played the organ for many years, volunteered as the Church Financial Secretary, and was a member of both the Gilead Belles and the Music and Worship Committee. She was a member of the Troy Area United Ministries and the local Home Bureau. In her quiet time she was an avid reader and enjoyed quilting. Mrs. Kreiger is survived by five sons and a daughter, Allan and Betty Kreiger, Keith and Lisa Kreiger, J. Emil and Tanis Kreiger, Dona E. Kreiger, and Edgar “Ed” Kreiger all of Brunswick and Stephen Kreiger (the late Susan Cooper) of Poestenkill, a brother, Rev. Kenneth Dearstyne (his late wife, Ruth) of Pennsylvania, ten grandchildren, twenty-two great grandchildren, and several nieces, nephews, and cousins. A funeral service will be held on Wednesday, October 19, 2016, at 10:00 A.M. at Gilead Lutheran Church in Brunswick with Rev. James Slater officiating. Burial will follow in Oakwood Cemetery in Troy. Relatives and friends are invited to call at the Gilead Lutheran Church, located on Brick Church Road (NYS Route 278) on Tuesday, October 18, from 4:00 – 7:00 P.M.
Memorial contributions, if desired, at the request of the family, may be made to the Gilead Lutheran Church, Memorial Endowment Fund, P.O. Box 26, Cropseyville, NY 12052, in memory of Alberta D. Kreiger. The Kreiger family wishes to extend a very special thank you to the nurses and staff of Community Hospice and Alberta’s home health aides for their excellent care, support, and love they shared with us that enabled us to keep and care for Alberta in her home with respect and dignity during her recent illness.